U.S. aerospace giant Boeing has scored a major victory against Canadian rival Bombardier after Washington's decision Tuesday to impose punitive duties of up to 220 per cent on the latter's jets, but the dogfight is just beginning. 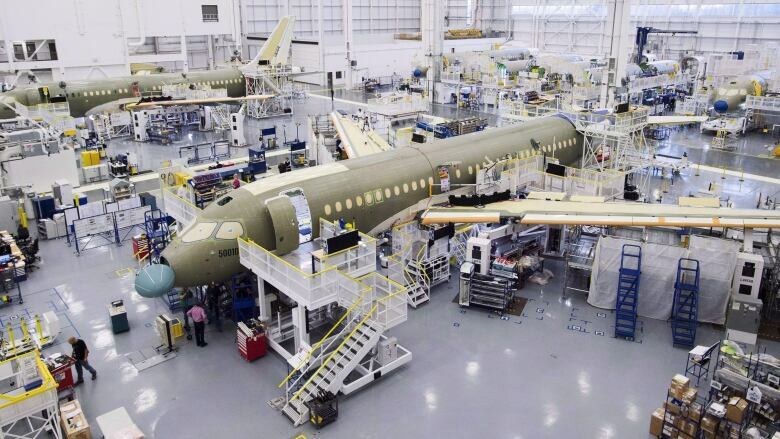 The Commerce Department decided on Tuesday to impose countervailing duties on Bombardier's CSeries jets sold in the U.S., agreeing with Boeing's position that the Canadian government unfairly subsidizes the company to build them. That could put major deals like the one with Delta last year to buy up to 125 of the jets in doubt, and bring more repercussions on all sides. The list price of the Bombardier-Delta deal was $6 billion, although the airline likely paid much less for buying jets in such great volume. Bombardier shares lost about eight per cent on the TSX on Wednesday, changing hands at $2.07 a share. Boeing, meanwhile, was up slightly on the NYSE. "The U.S. government is taking an aggressive stance on this issue," Morningstar analyst Chris Higgins said. "There are avenues for Bombardier to appeal, so this dispute may drag out." Indeed, Bombardier has many options to launch an appeal, including the U.S. Court of International Trade, NAFTA and even the World Trade Organization. Regardless of the outcome, there are other fights underway between the two companies, including an anti-dumping complaint from Boeing that's expected to be ruled on next week, and a major one expected in the spring to determine how much Boeing's business has actually been harmed by the alleged subsidies. Proving that its business was harmed by the Bombardier-Delta deal will be hard, Dan Pearson of the Cato Institute said, because Boeing didn't have any suitable jets to bid on the deal at the time. "This (ITC case) cannot be a slam dunk," the former ITC chairman said. "I'm having a hard time figuring out how Boeing was harmed by this." His colleague Dan Ikenson at the libertarian think-tank agrees, saying: "I can't understand their claim of injury …. They don't even make these damned planes." He also noted the irony of Boeing suing anyone over government assistance — when it's the No. 1 recipient of government support through the U.S. Export-Import Bank, referred to jokingly in Washington as, "the Bank of Boeing." "Boeing is very much at the trough," Ikenson said. It's not yet clear what avenue Canada will choose to focus on in its appeal, but if the initial ruling is upheld, the duties that make the jets more than three times as expensive would be due as soon as Bombardier starts delivering the jets to Delta, which isn't expected to happen until next spring. Most analysts expected Boeing to prevail, but not for the duty imposed to be so harsh: Boeing itself had only lobbied the government to impose a duty of 80 per cent on the Bombardier jets, not the 220 per cent that was handed out. 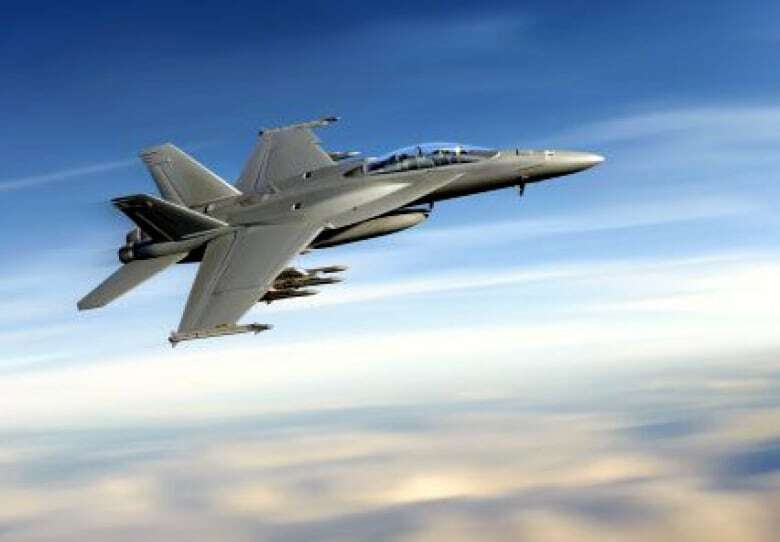 Quebec Premier Phillippe Couillard said he is urging Ottawa to take a very "hard line" with Boeing over the Super Hornet deal — and any others. "Not a bolt, not a part, not a plane from Boeing [should be] entering Canada until this conflict is resolved in a satisfactory way," he said. The Canadian government is supposed to buy up to 18 Super Hornet jets from Boeing, but that deal may now be in doubt. Construction of the CSeries also affects the U.S. economy, too, as Bombardier says more than half of the jet's components are made by U.S.-based companies, and the jet's manufacturing supports more than 22,000 jobs across 17 U.S. states. "We will always defend Canadian companies and Canadian workers against unfair and costly protectionism," Foreign Affairs Minister Chrystia Freeland said. As of last year, Boeing employed more than 2,000 people in Canada, at 10 locations across the country. The companies have so much at stake, that it's quite possible both could lose in this dispute, Higgins said. Bombardier may be locked out of the world's largest jet market, but Boeing could lose orders for up to 65 jet orders from the Canadian government. 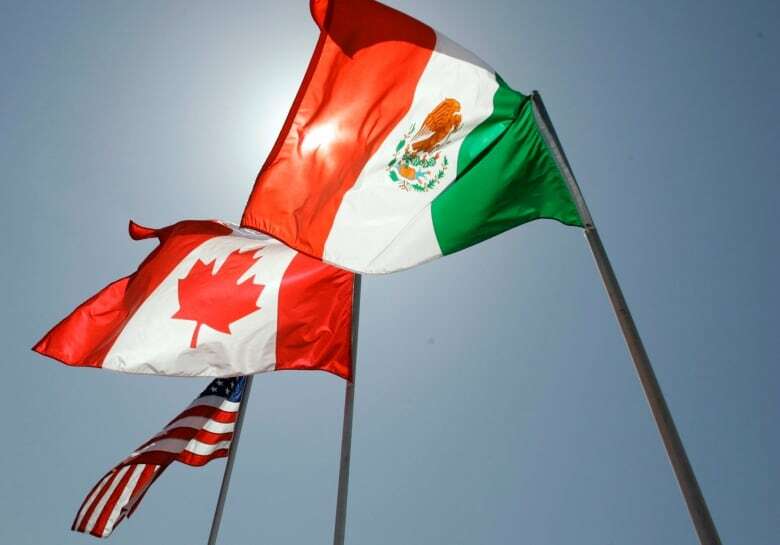 The high profile dispute is also happening against the backdrop of ongoing NAFTA renegotiations, as officials from Mexico, Canada and the U.S. are currently trying to hammer out a new free trade agreement in discussions that have reportedly been very hostile at times. The repercussions could extend across the Atlantic, too, as Bombardier has a major presence in the United Kingdom where parts of the CSeries are assembled. With 4,200 workers at a Belfast facility making CSeries parts, Bombardier is one of the largest manufacturers left in Belfast, a former industrial powerhouse. Boeing's move to hurt Bombardier is a political headache for Britain's governing conservatives, who are propped up in part by a coalition including the Northern Irish Democratic Unionist Party. "This is not the behaviour we expect from Boeing and it could indeed jeopardise our future relationship with them," British Defence Secretary Michael Fallon told reporters in Belfast. "Boeing has significant defence contracts with us and still expects to win further contracts. Boeing wants and we want a long-term partnership but that has to be two-way." The battle is far from over, but Boeing wasted no time in declaring an early victory on Tuesday. "Subsidies enabled Bombardier to dump its product into the U.S. market, harming aerospace workers in the United States and throughout Boeing's global supply chain." Boeing's goal isn't to stifle competition, but rather the dispute is about "maintaining a level playing field and ensuring that aerospace companies abide by trade agreements," Boeing said. Couillard, meanwhile, insisted at a press conference Wednesday morning that the decision will not stand. "Boeing may have won a battle but let me tell you the war is far from over — and we shall win," Couillard said. An earlier version of this story incorrectly identified Chrystia Freeland as Trade minister. In fact, she's Canada's minister of Foreign Affairs.